Nothing comes easy. The IKAROS team has put discretion before valor and decided to delay the final stage of the deployment. The first stage of the deployment went well but they want to analyze the measurements they are receiving more closely before committing the final stage. I am disappointed, of course -- my own schedule is such that I must return to the U.S. on Sunday and thus I will miss the final deployment. 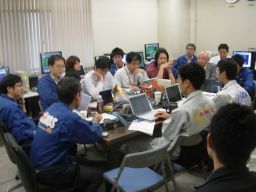 In IKAROS operations at the Japanese Space Exploration Center on June 4, 2010, the team makes a decision to delay the full deployment of the sails. I've had all kinds of experiences observing space operations, the failed Mars landing of 1999 and the brilliant successes of the rovers in 2004 representing the extremes. The worst was witnessing our own solar sail spacecraft launched into the ocean by the Volna rocket in 2005. So missing out on the final stage of the IKAROS deployment is something I can handle. Not with great pleasure, but with understanding. The complexity of the deployment makes it easy to understand both the caution of the team and the dangers inherent in it. Readers who review the description, or who have seen the video animation can appreciate that the dynamics involved are hard to predict and hard to control. The sail itself is only 7.5 microns thick and very flimsy. The centrifugal force that controls the deployment can be made wobbly by just a little asymmetry in the way the sail unfolds from its stowed position. The two-stage spinning method of deployment is elegant, but complex. Caution is certainly warranted. There is, however, a counter-argument in favor of doing things as quickly as possible before something else in the complex system goes wrong. 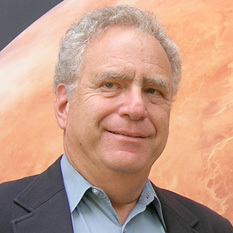 We are undergoing a tradeoff on this very subject in our LightSail planning. I am in no position to second-guess the team here in Japan. To the contrary, given how well they have performed to date, I am sure they are making the right decision. So I will leave Japan having witnessed only a partial deployment, and uncertain about the rest of it. I have learned a lot here, and think the technical and program interaction among solar sail teams will lead to some great missions and great spacecraft in the future. In the meantime, it is back to home, and to focus again on our simpler but also elegant LightSail 1 so that it, too, can make its attempt to open up a new era in space transportation and exploration. Today's disappointment with the solar sail deployment was counter-balanced by the good news with the Hayabusa trajectory correction. It went perfectly and the spacecraft is now targeted for the Woomera desert region in Australia for a June 13 landing. The awesome adventure of Hayabusa is coming to an end. I will have more to say on that later.